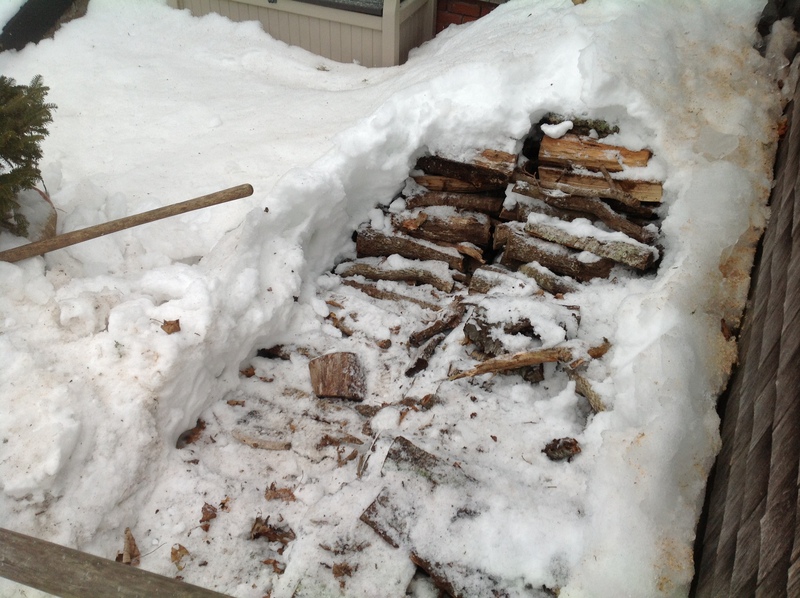 Today I finished moving the fireplace logs from the wood yard to near the house entrance. I do this every year at this time so when the cold and snow come later it is at a near and convenient place to bring it inside. It took me working two hours a day for four days to do this. 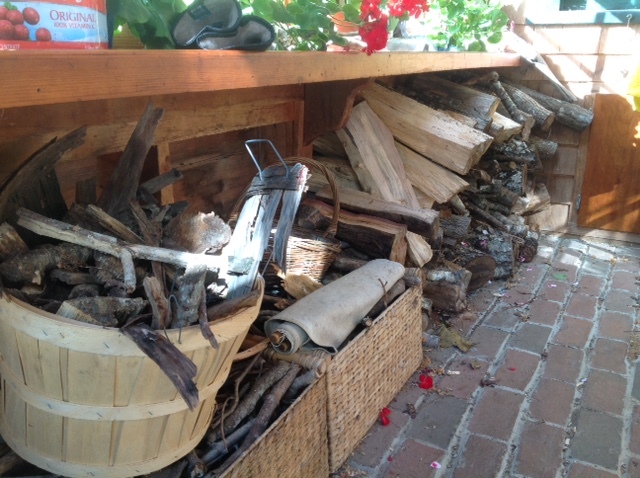 I bring the wood into the house as needed with a kindling supply and store it at the entrance as shown and Cynthia does the remainder —that is carrying it to the fireplaces and preparing it for starting. At the present time we have three B&B guests, well known artist, Doug Kent, also Lt. James Cowhig of the Massachusetts State Police, and his cousin, Tom Russo, the latter two are fishermen in the very big Striped Bass and Bluefish Derby held on the Island every year, internationally known with huge prizes. 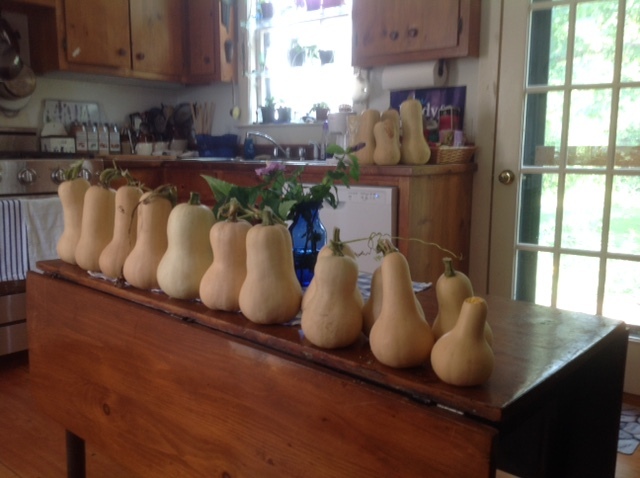 Cynthia is making very tasteful pies using butternut squash that we have grown toooo much in abundance. 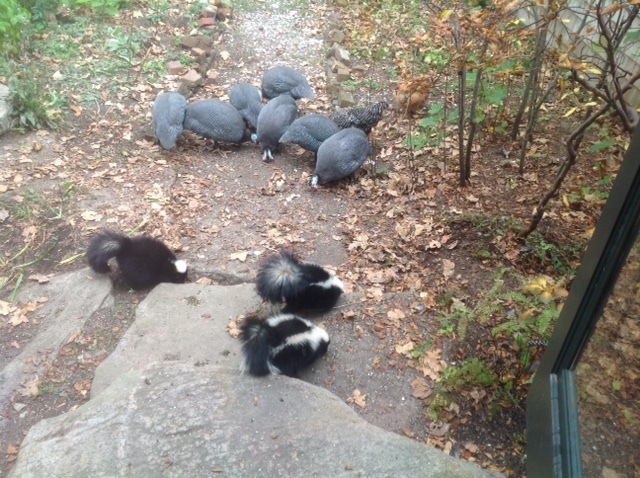 I believe it is 15 skunks Walter Wlodyka, the skunk and raccoon removal man, has captured at $100 each and I saw two more last night so we will have him return because the skunks are on the same path that the guests use on the way to the alternative outdoor shower. Skunks feed on the black sunflower seeds left over from the bird handouts. What do I do with my time? Have done two videos shown on MVTV and have two more to edit. Just downloaded El Capitan on the Mac. Do a daily run to the Post Office, run is not the right word it is drive—-I cannot run—-am thankful I can walk even slowly with as many pauses as it takes. 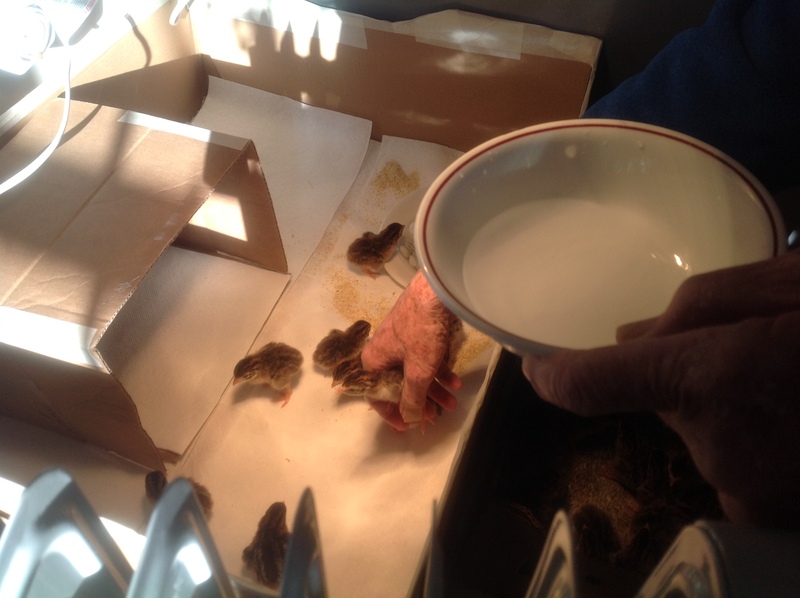 In the morning I open the coops, water and supply feed for the 10 chickens and 9 Guinea fowl that roost in the trees. TIME and THE WEEK need to be looked at and all those Emails. “Go Set a Watchman” was Harper Lee’s first book, and first books are usually unpublishable, as was “Watchman.” While it has brilliant writing in patches, it has inconsistencies, improbable passages, repetitions, unnecessary divergences, too much back story, ramblings, boring passages, too much overwriting, and almost every error a new writer can make. 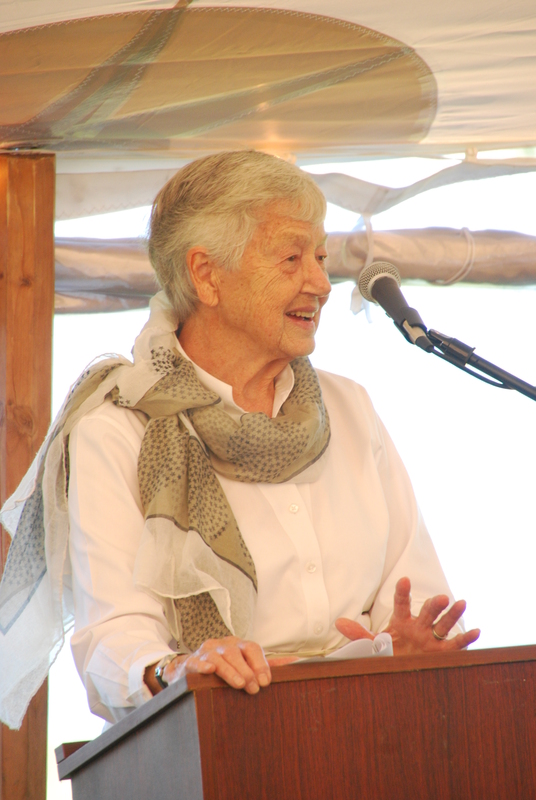 Tay Hohoff, an editor at Lippincott, saw promise in the work, saying the “spark of the true writer flashed in every line.” She urged Harper Lee to scrap “Watchman” and start all over, write a new book with an entirely different story. 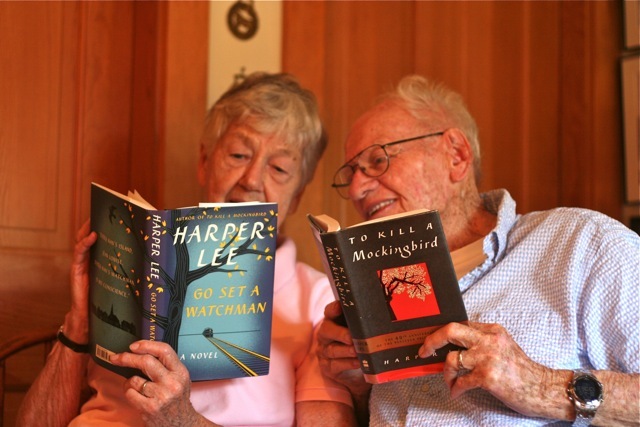 Hohoff saw Scout’s young voice, one of several back stories in “Watchman,” as the potential for a great book once it was rewritten, and, of course, the new book, “To Kill a Mockingbird,” is a classic, with good reason. Harper Lee spent two years writing the new book, a frustrating experience for her. 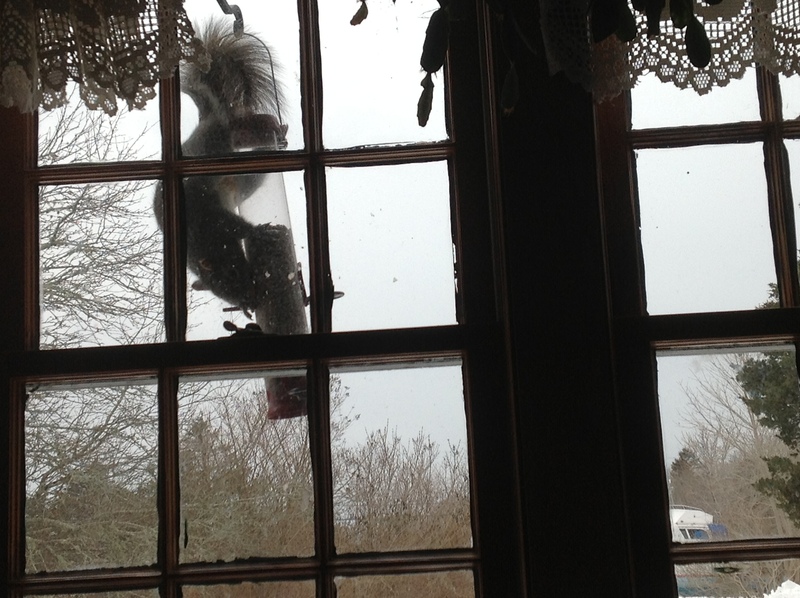 At one point she tossed the entire manuscript of “Mockingbird” out the window, and Hohoff had to rescue it. Think of what came out of the 294,000 word manuscript of “Look Homeward Angel” Thomas Wolfe submitted, once it was edited down to its present form by Maxwell Perkins, who cut out some 60,000 words. Reading “Watchman” and what emerged by skillful editing from the corpse of “Watchman,” namely “To Kill a Mockingbird,” is a good lesson for all aspiring writers. A good editor is a writer’s best friend. “It would almost have paid to be sick here,” someone commented. I could almost agree. It was a brilliant, clear August afternoon. The view stretched off into the far distance. Far below us was the Lagoon, and beyond it, Vineyard Haven harbor, the arriving ferry, and boats of every description, including the Shenandoah and Alabama in full sail. 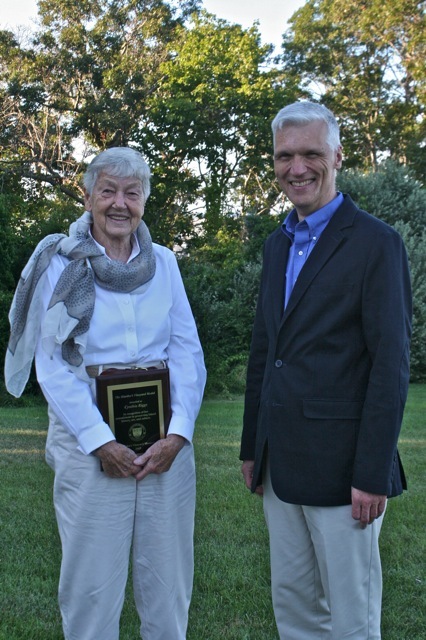 We were standing on the grounds of the old Marine Hospital, now owned by the Martha’s Vineyard Museum, and the occasion was the museum’s annual meeting. The building and grounds are high on a terraced hill, a short walk from Chicken Alley and the Thrift Shop. 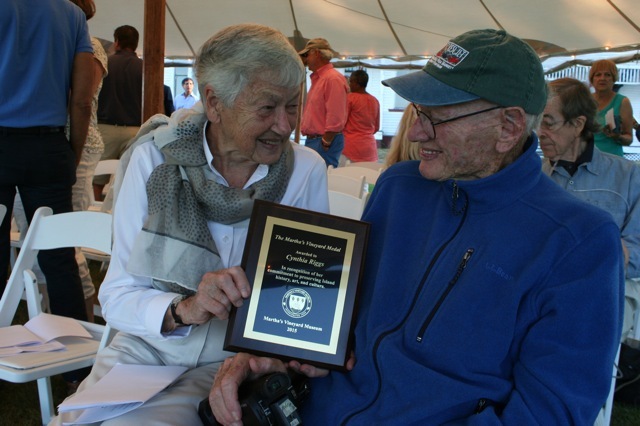 The occasion was also the awarding of the museum’s Martha’s Vineyard Medal to three of us Islanders — the late Pat Gregory, Pat Morgan of the Beagary Family Trust, and me. I’m honored to be standing here on the Martha’s Vineyard Museum’s new campus. My family has had a long association with the museum when it was known as the Dukes County Historical Society. My Vineyard ancestors were seafarers. Like them, I was a boat captain, piloting boats on waters far from the Island. Instead of whaling, I operated tour boats, charter boats, and a ferry on the Potomac River and Chesapeake Bay for 20 years, taught sailing, and made two trans-Atlantic boat deliveries. 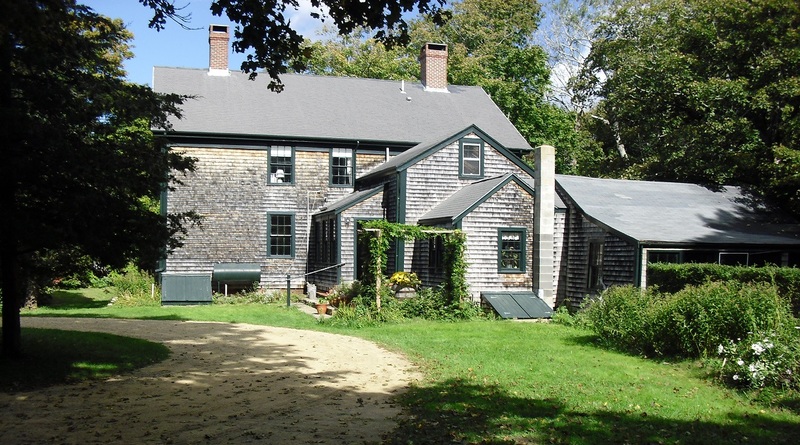 I returned to the Island in 1988 to the Cleaveland House, our family home. 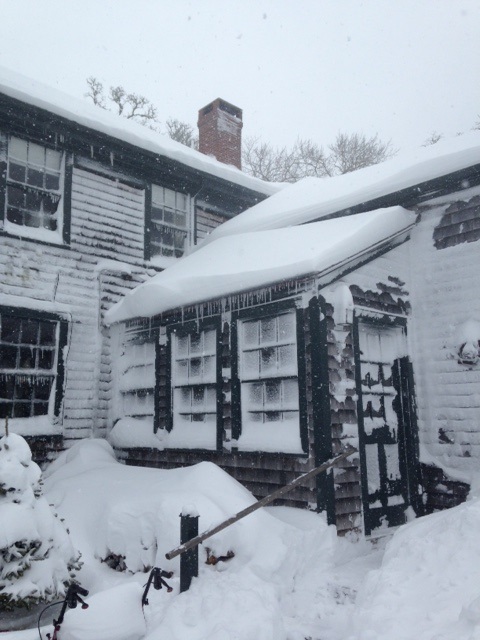 The house was built around 1750 by my ancestor, James Athearn, and I believe it may be the oldest home on the Vineyard continuously occupied by the same family since the time it was built, more than two and a half centuries ago. When I returned to the Vineyard, the house was in a sad state of disrepair. To finance repairs we opened the house as a bed and breakfast catering to poets and writers. Over the years we’ve included artists and actors, sculptors and composers, physicists and diplomats, creative people of every kind. 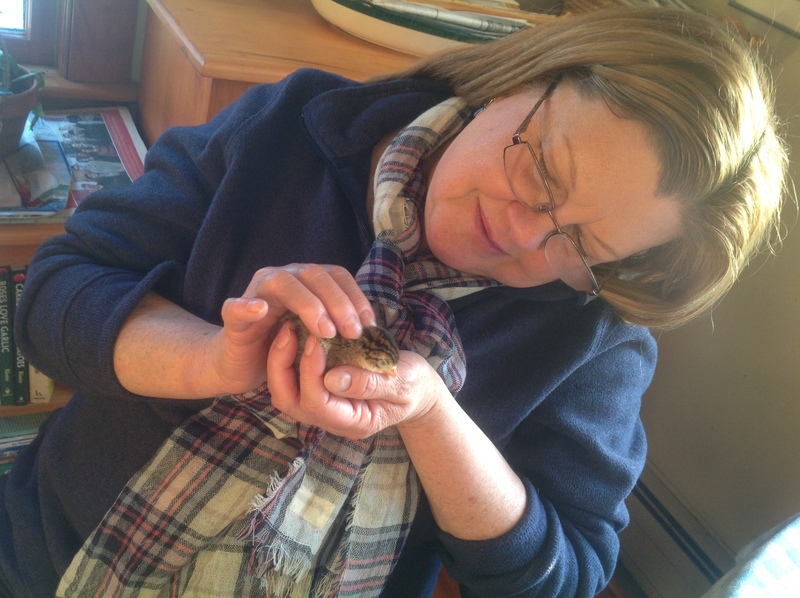 My mystery writing career didn’t begin until long after I’d returned to the Island. 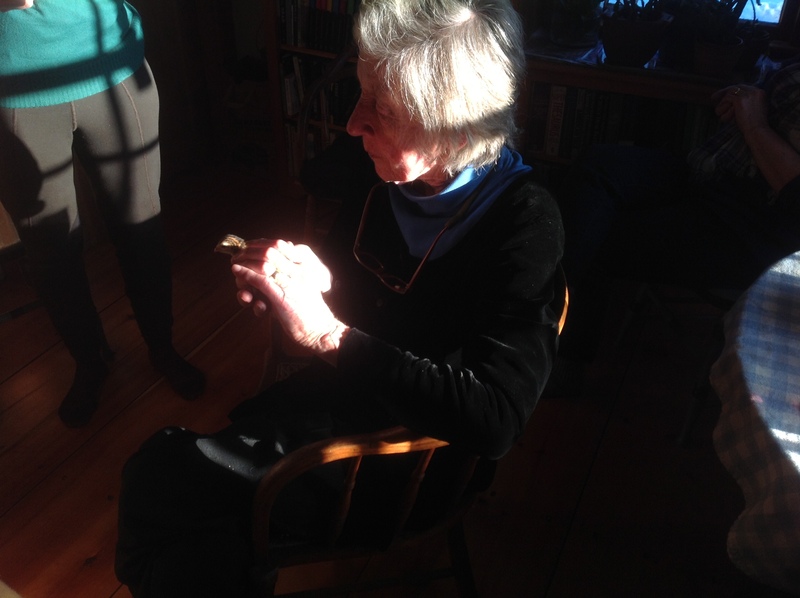 After my mother’s death at almost 99, a B&B guest urged me to go back to school for an MFA in creative writing. I was 68 and had no desire to start a new career. Nor had I thought about writing as a serious occupation. Writing a book seemed a monumental undertaking. And after one book I thought a person would surely run out of ideas. However, Vermont College accepted me into its MFA program, a friend told me to write murder mysteries, and that’s how it all started. The Vineyard is an ideal setting for a mystery writer. With its six very different towns, its assortment of interesting characters, and the constant reminder of the sea that separates us from the real world, I will never run out of ideas. I wanted to pay tribute to my mother, a vibrant, strong Vineyard woman, so she appears in the guise of my 92-year-old protagonist, Victoria Trumbull. I paired up this ancient and improbable sleuth with a fictional police chief patterned after West Tisbury’s Chief Beth Toomey. Victoria Trumbull loses her driver’s license after she backs into the Meals on Wheels van, and my fictional chief, seeing Victoria’s distress, offers to take her wherever she wishes to go. Victoria climbs into the police cruiser and the chief is stuck with a nonagenarian sidekick. When I started the two year creative writing program, I thought I might be able to write one book . But one page piled up on top of another, and by the time I received my MFA degree, I had written four. Today, fifteen of my books are in print. St. Martin’s Press has published 13 of my Martha’s Vineyard mysteries. Cleaveland House Books has published two: “Victoria Trumbull’s Martha’s Vineyard: A Guidebook,” and “Murder on C-Dock,” the first of a new series set on the Washington, DC waterfront. Two writers groups meet weekly at the Cleaveland House, on Sundays and Wednesdays, for me, important evenings that keep me writing and keep me humble. The Cleaveland House seems to nurture creativity. A poetry group that my mother established more than 50 years ago, the Cleaveland House Poets, continues to meet here bi-weekly. According to the director of the group, William Waterway, it is the oldest continuously meeting poetry group in the United States. The Vineyard is rich in numerous ways. We have a glorious landscape, thanks to our glacial origin. Our already varied culture is constantly enhanced by newcomers and their ideas. We must surely have the most highly educated workforce in the nation, with PhDs who shingle and paint and caretake summer people’s houses, and landscapers, house cleaners, and shipyard workers with advanced degrees. With our heritage of Wampanoags and whalers, artists and deaf-mutes, fishermen and farmers, it’s no wonder the Island has nurtured so many creative people. And it’s no wonder our Island has been called the Athens of the Atlantic. My parents would be pleased to know I’ve been awarded the honor of the Martha’s Vineyard Medal, but I’m not sure they’d agree that I’m the one who deserves it. It belongs to all of the people who’ve made the Island what it is. Thank you for selecting me as the one to represent them. I accept this medal on their behalf. An excerpt of correspondence between Elizabeth Whelan, who lives on one of the Elizabeth islands, and me. Elizabeth is painting Howie’s portrait. I have let too much time pass without contacting you, as we have waited for the ice to thaw in the harbor. I have had Howard’s color study ready for weeks now, and not wanting to send a digital version as it’s just not the same as seeing the little painting, every day I’ve been at the window at dawn checking the state of the ice. And blessedly, this morning we are finally free. It’s been exciting but grueling to be iced in this past month. Thank goodness for last night’s rain, as we now have a channel out of the harbor to go and get supplies. Like you, we’ve been bound by the ice on the doorstep even while it has been leaving the Bay at large. 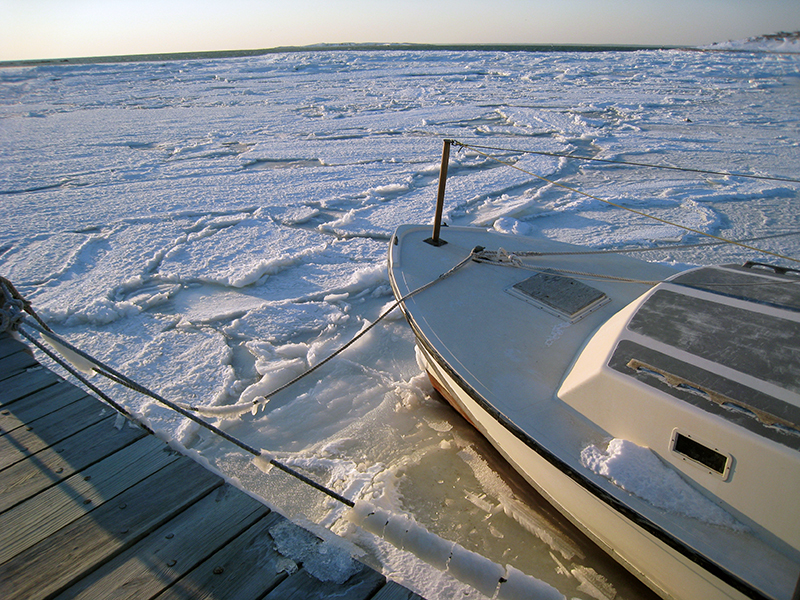 It looked as if this would happen last week as the ice was breaking up and moving out (and then back in) with the tides. However all of the ice from Falmouth and the upper Bay then drifted down here, and washed back into our little protected cove. It was starting to get annoying to see other boats go by and still be stuck here. 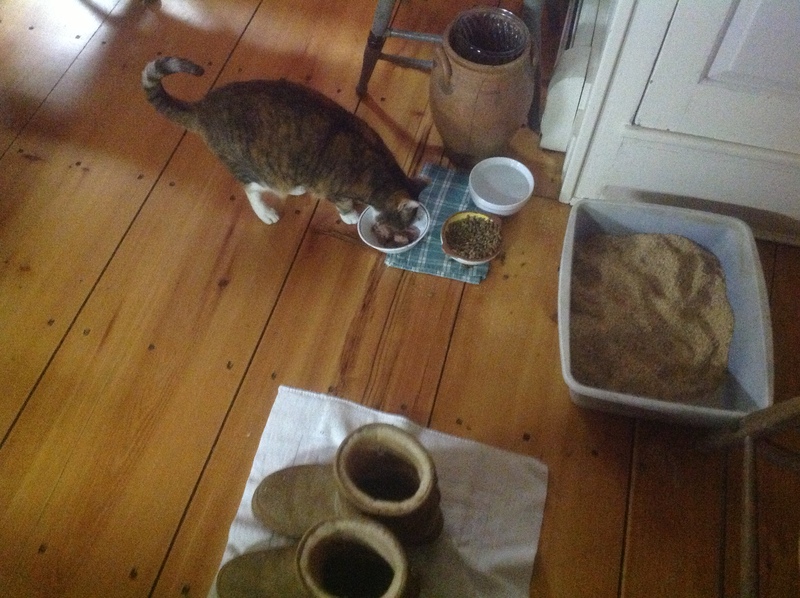 But it was an adventure as well, and justified the enormous amount of stocking up on everything from layer feed and hay to cat food, that we did in December. But back to your painting. 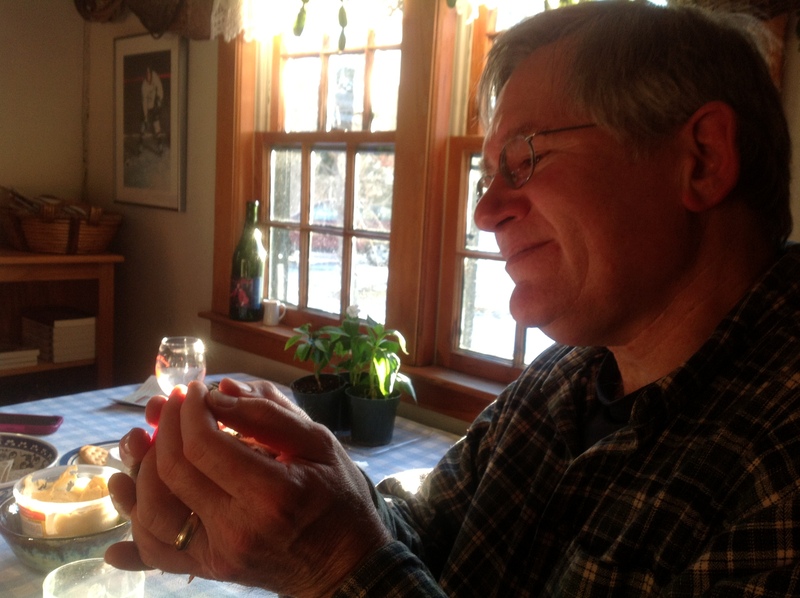 Bill is going to Cuttyhunk later today for mail, and will be taking the color sketch with him. 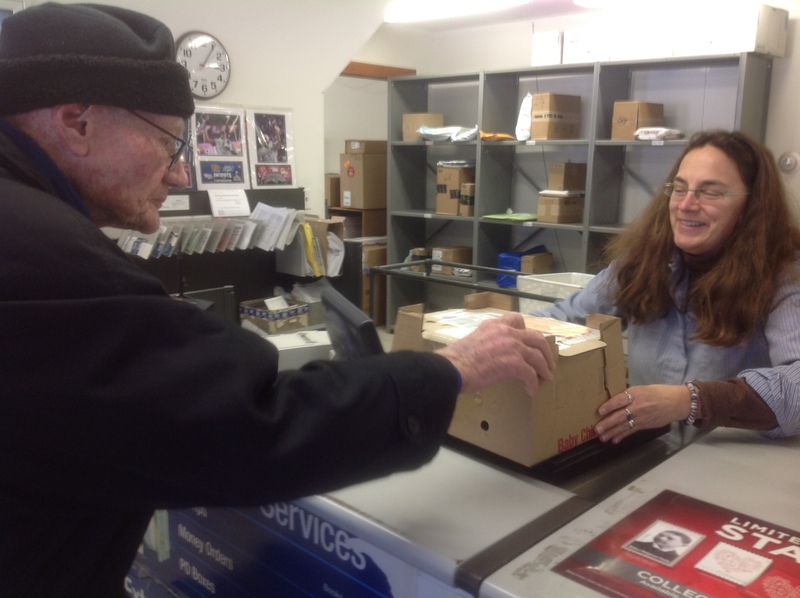 It won’t leave Cuttyhunk until Friday, as the ferry only brings mail twice a week in the winter, so it will take a couple of days to make its way around to West Tisbury. 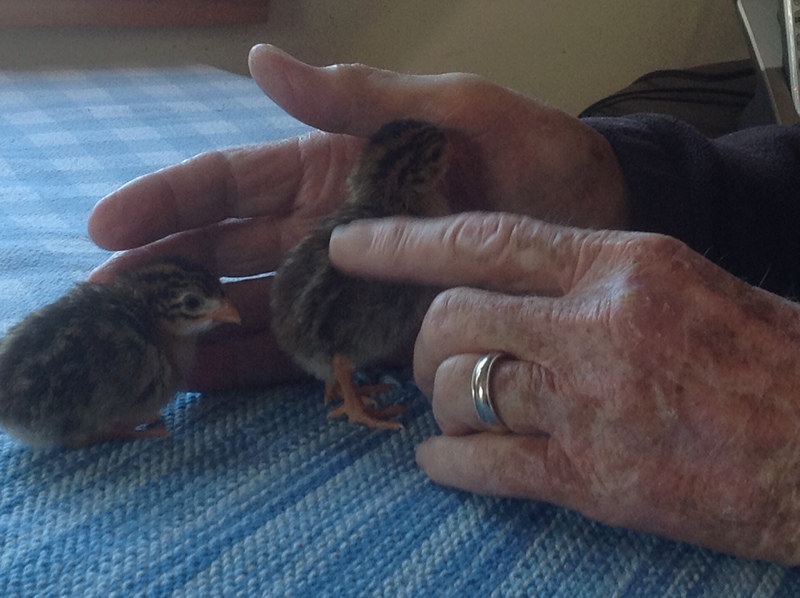 As our situation dragged on for days and days, the farm became its own little world apart and although connected to the outside by the internet, time took on a different sense and we frequently lost track of the days without the usual markers of ‘mail day’ or ‘supply run’ keeping us grounded. What a winter! I shall be SO glad to see that package head off to the PO, and to you. I am writing in regards to your color study, which I have just tracked on USPS (thinking that surely it had arrived in WT by now), and found out that it has been travelling around New England. It has, according to the USPS, been from Cuttyhunk to Brockton, then to Cohasset, then to Nashua, New Hampshire, then to Providence, Rhode Island, then back to Brockton, and as of this morning at 8 am it was back in Cohasset. I have no idea why. Cohasset is usually where our mail gets sorted and is the destination before arriving on Martha’s Vineyard, so I shall check again later today and see what’s going on. It does now list the delivery date as ‘today’, which I have discovered often means ‘tomorrow’, as if MV is in another time zone. Anyway I do have that digital image of the comp if you are chomping at the bit. Thankfully the ice has now cleared around the island, and future deliveries can be made in person. We weren’t worried about the sketch, figuring your harbor had re-iced. Now that we know it’s in the hands of the US Postal Service, we can start to worry. The USPS is determined to screw things up. Just delivering mail to the Vineyard from the mainland is beyond the comprehension of their automated system. Delivering mail from one island to another, a couple of miles away, well . . . ! In the past and probably for the foreseeable future, whenever we have a package mailed to us using our Edgartown Road address, the USPS insists on changing our zip code from 02575, which is West Tisbury, to 02568, which is Vineyard Haven. 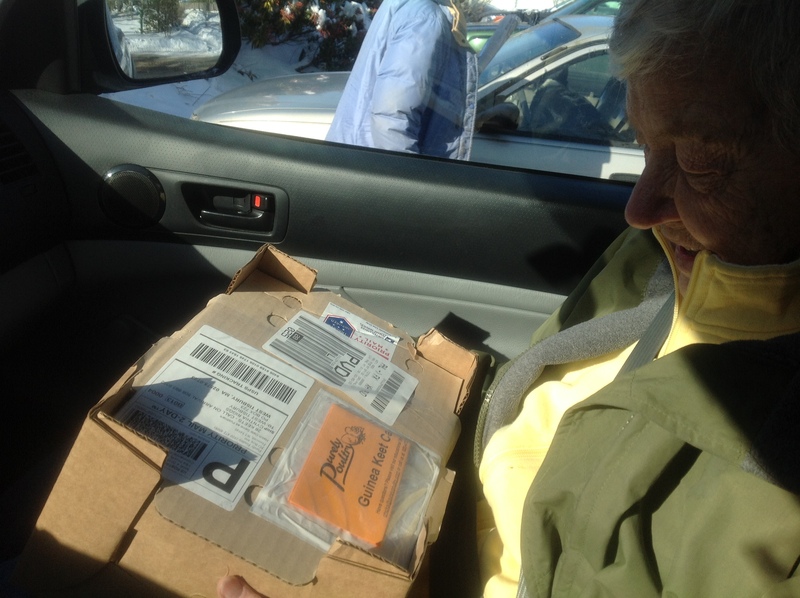 Since there is an Edgartown Road in Vineyard Haven as well as one in West Tisbury, they attempt to deliver packages to 620 Edgartown Road, Vineyard Haven. However, there is no number 620 on the VH Edgartown Road, so numerous package deliveries end up who knows where. LL Bean now knows to override the automated system, but not all venders have real people you can talk to in order to explain the situation. I’ve contacted our State and US legislators about this, and they essentially shrug. “Take it up with the USPS,” they say. Which is hopeless. We’d love to see the digital image. We do understand it’s not the quality of the real thing, but we are pretty good at understanding what you are wishing we could view. My mother once received a letter addressed to: “Dionis Coffin Riggs, An island off the coast of Massachusetts.” I still have the envelope with its 3-cent stamp. It is often difficult to explain to people in America how our mail works. I remember upon first moving to Martha’s Vineyard, and trying to tell a client that the ‘early a.m. next day’ delivery option via FedEx was a waste of money, as the package would take 2 days to get from his location, regardless. I just checked the tracking, no update yet. I’ll send the digital image and a copy of the letter I’d enclosed in the next email. I look forward to your feedback. The tracking says the package is now in West Tisbury, as of 9:34 this morning. It DID go to Providence, Rhode Island, one more time…. for your amusement I have copied the tracking info page below. We LOVE the study, the pose, the background, the colors, everything. You’ve captured Howie at work and the house setting with its books and lovely light and glimpses off into other magical spaces. Wonderful, perfect, even better than expected, better than hoped for. 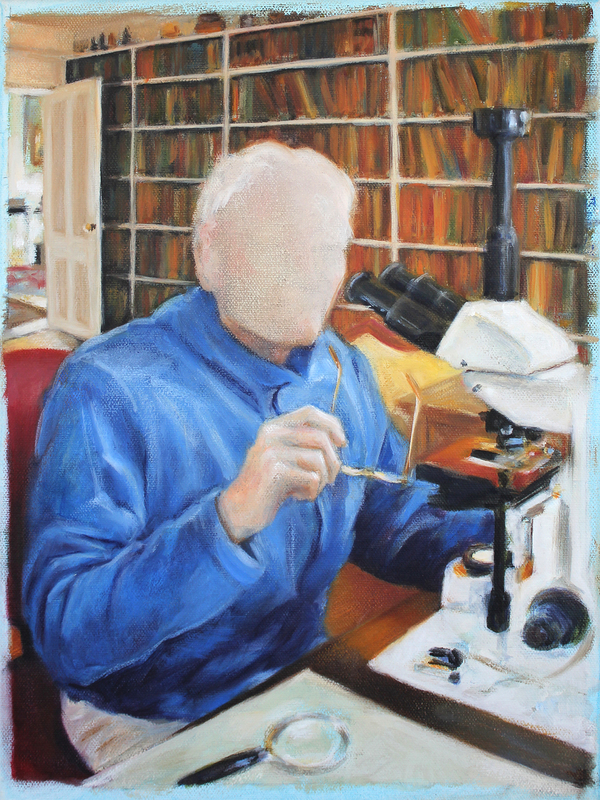 We look forward to seeing the finished painting.
. . . just don’t send the portrait by USPS ! I think this is going to be a great portrait, and an interesting painting overall. And I will definitely be hand-delivering the finished painting. I will keep you posted with a delivery timeframe, most likely mid-April. I included in the color study box the return postage, however another option is that I shall be back on MV next Weds (25th), and could perhaps pick it up then. But I imagine the post option will work out fine as we can only pick our mail up twice a week anyway. 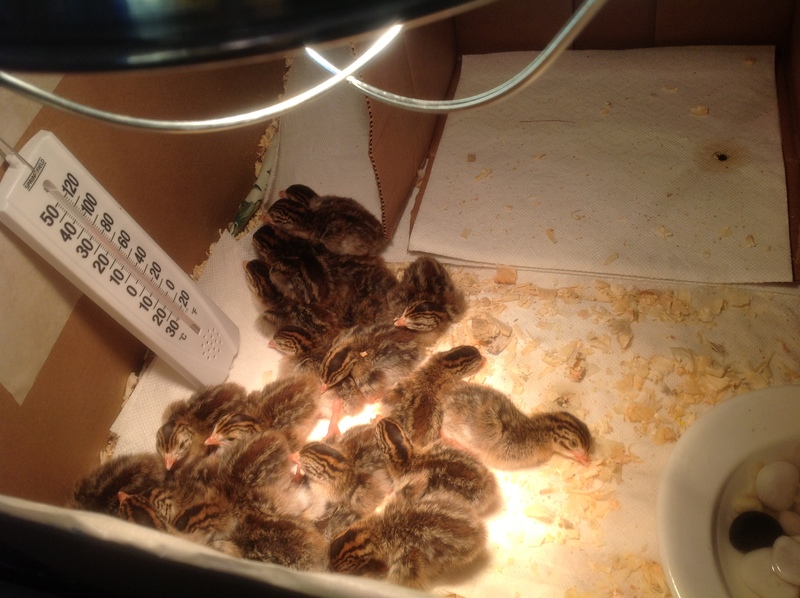 We’ve just got back from the post office, and you’ll never guess what finally arrived. I assume you would like to have the study returned to you. Dare we trust the USPS? 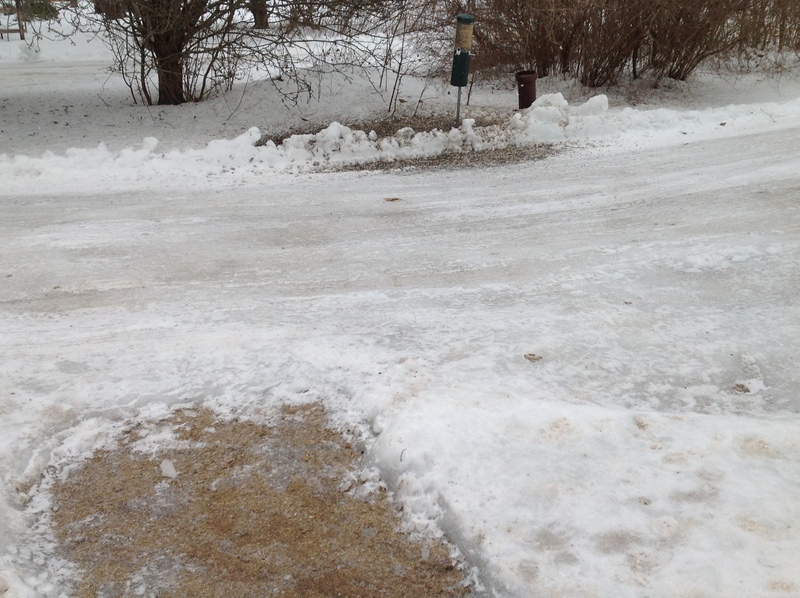 Or are you able to navigate through all that floating ice? I went off Island last week, and here’s what it looked like in Woods Hole — not something I’d like to maneuver through in a small boat. 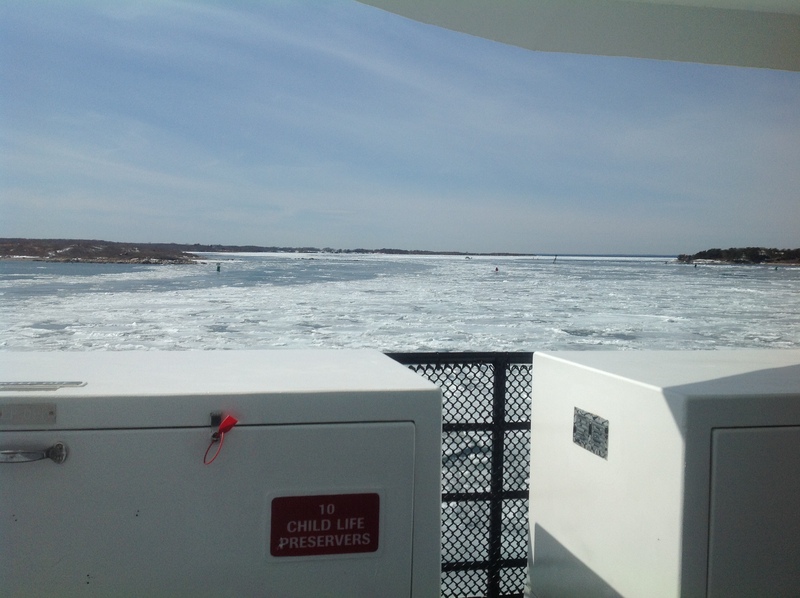 From the ferry, the channel between Woods Hole and the Elizabeth Islands is choked with ice. Nonamesset, the closest to the mainland of the Elizabeth Islands, is on the left, Woods Hole is on the right. 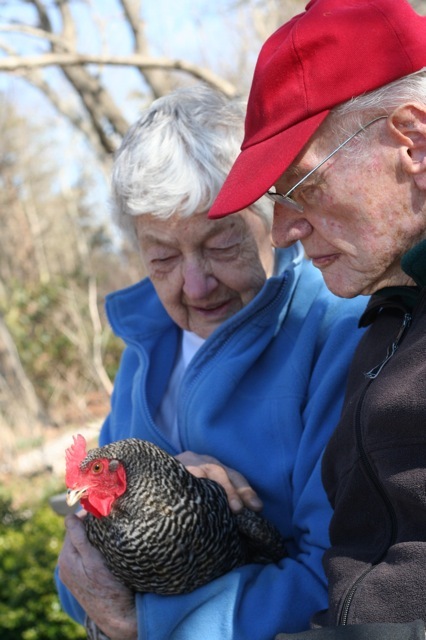 Elizabeth and her husband, Bill, live on one of the islands near the end of the island chain. We have not put the color study in the mail yet. Will you be coming to the Vineyard on the 25th? Since that’s only four days from now, should we wait and hand deliver it to you ? Based on past experience it may take the USPS a full week or more to do its thing. 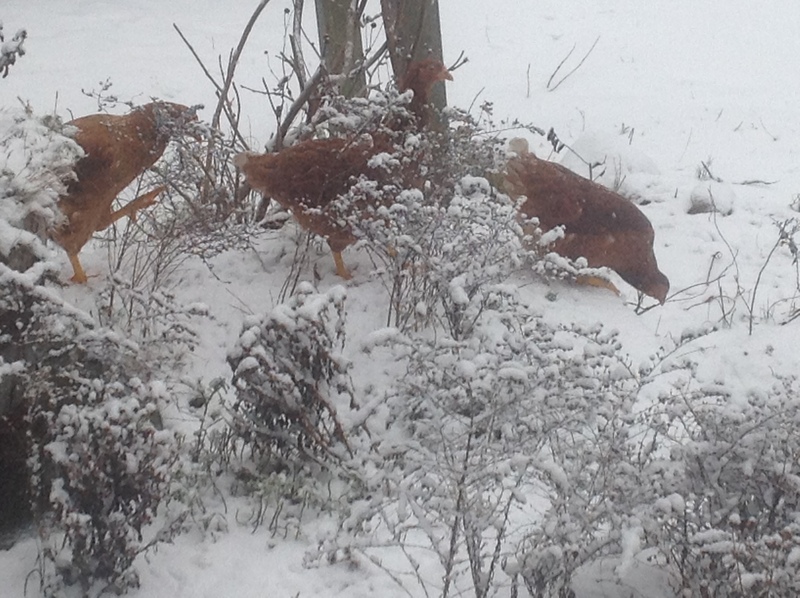 More snow last night — hurrah! We are doing this snow thing up royally this year. Welcome sweet springtime! It looks as if I will now be coming to MV on Thursday rather than Wednesday, so it might be just as well to put the painting back in the mail in case the weather causes us to be delayed further. I admit to being interested in finding out what will happen if it goes back in the mail . . . a cross between scientific curiosity and ‘hope springs eternal’, I imagine. Speaking of snow, it’s at it again over here. Large fluffy flakes. I don’t suppose Howie will believe that this doesn’t happen all the time. The weather forecast for the Cape and Islands was for a winter storm of epic proportions starting the following day, Monday. A telephone alert informed us that the Tisbury School would be open that night if we needed shelter. Monday was when our visiting daughter Ann and son-in-law Paul were scheduled to leave the Island for their return trip to California. They decided to take an early boat to beat the storm. 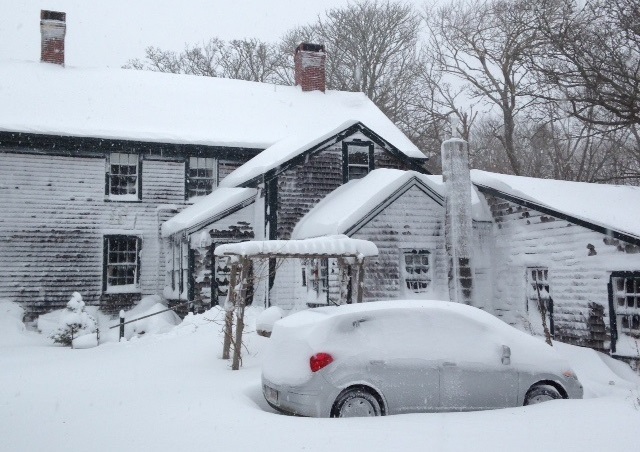 “Actually, it might be fun to get snowed in on Martha’s Vineyard,” said Ann. 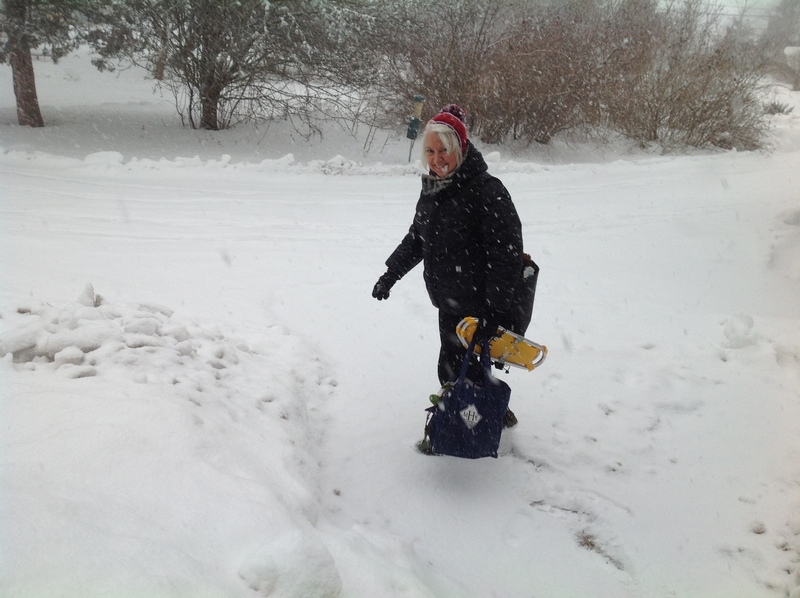 As we drove them into Vineyard Haven to board the ten-forty-five ferry, the snow started, a light dusting that blew in wisps and swirls across the road in front of us. “We don’t get a lot of it in Santa Barbara,” said Paul. 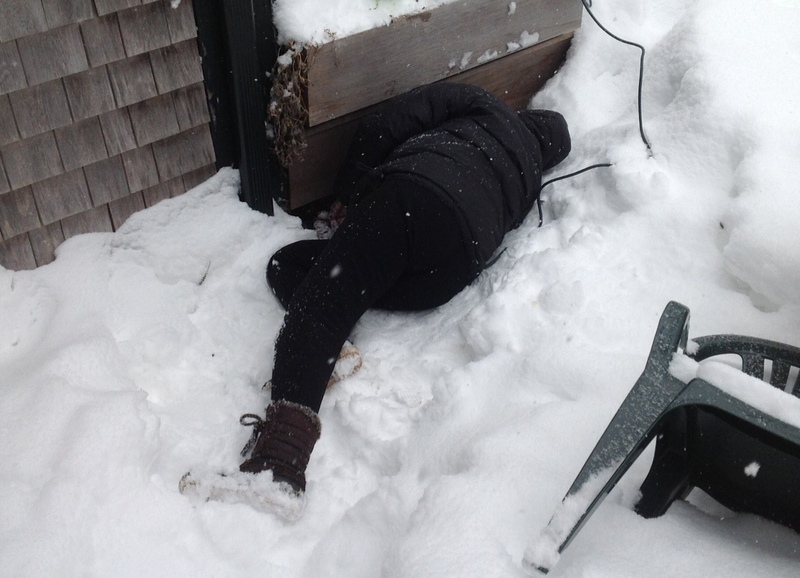 By early afternoon the snow was several inches deep. The wind picked up and moaned and rattled at the windows. 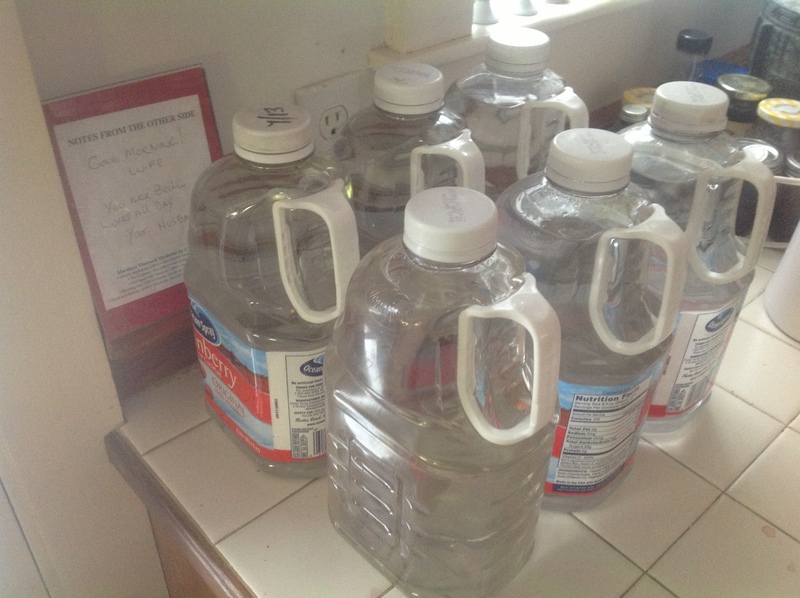 Howie filled our collection of cranberry juice bottles with water and we lined them up them near the candles and matches we have ready for the times the electricity goes off, which it does nearly every time we have a storm. 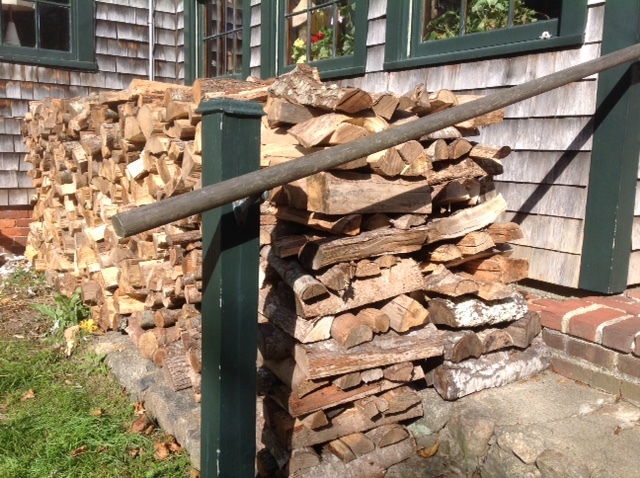 This past fall, Howie moved a cord of wood from the woodpile near the compost heaps and stacked it on the west step outside the entry. “We may want it closer in case of bad weather,” he said. 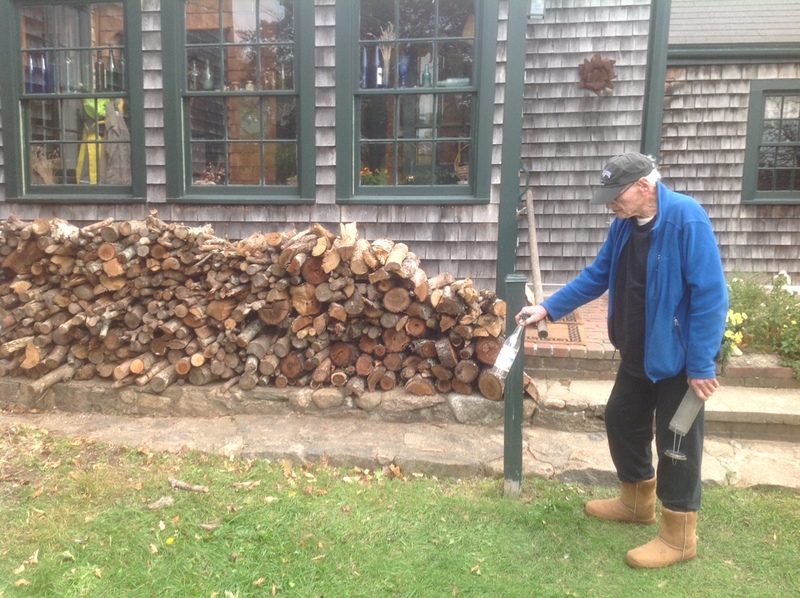 Before Ann and Paul left, Paul brought in several arm loads of firewood from the step to the entry where it would stay dry. I made a pot of split pea soup that we could re-heat over an alcohol burner when the electricity went out. 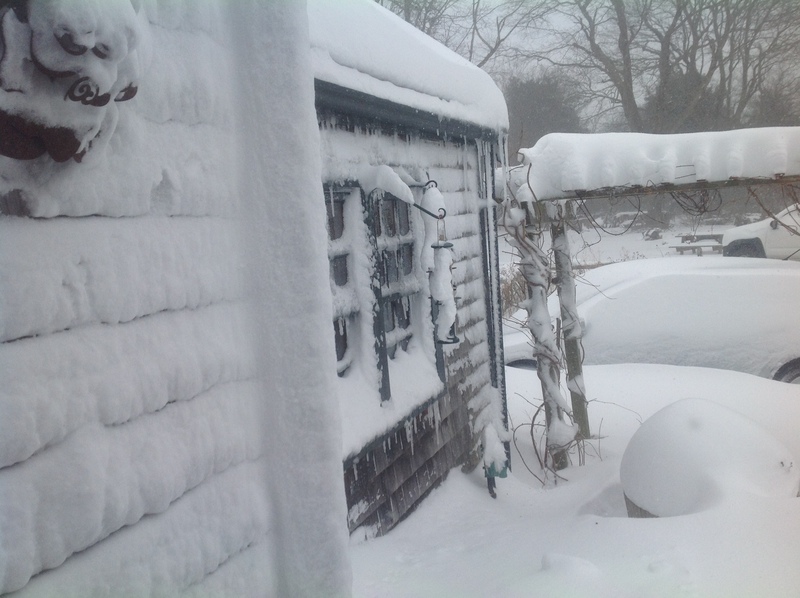 By the time the soup was ready, the snow was a foot deep and the wind was whipping it into deep drifts around the house. 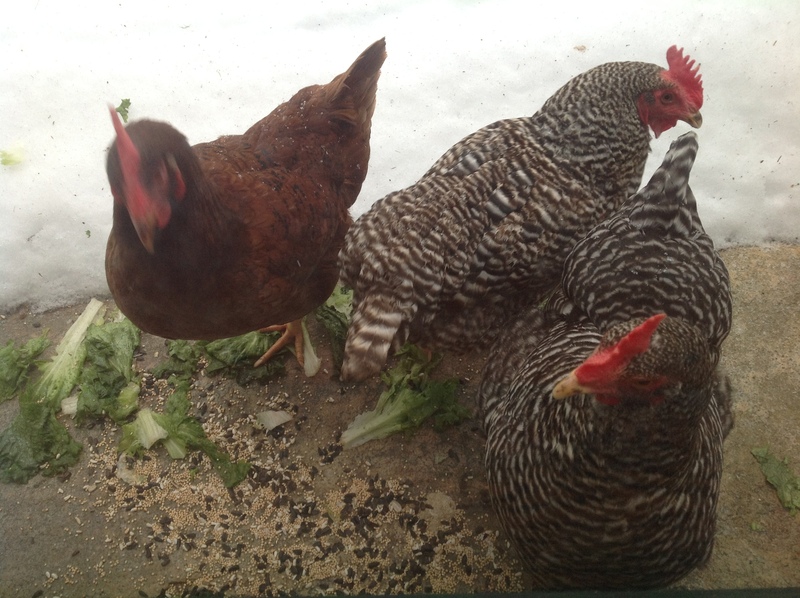 Darkness approached, time for Howie to feed the chickens and guineas and close the coop to keep out night predators. Daphne, the cat, stood at the entry door, staring out with an expression that clearly said she needed to go out but was not about to do so. The three of us had supper in front of the parlor fire with Daphne curled up close to the screen, waiting for her servings of whipped cream. After supper, Lynn gathered up her flashlight, struggled back into her boots, and left. We put a few more logs on the fire and snuggled together on the couch, a blanket over our shoulders, to play an old seafarers’ game called “Shut the Box” that Howie had ordered from National Geographic. Usually, he wins, but this time I won three out of four games. 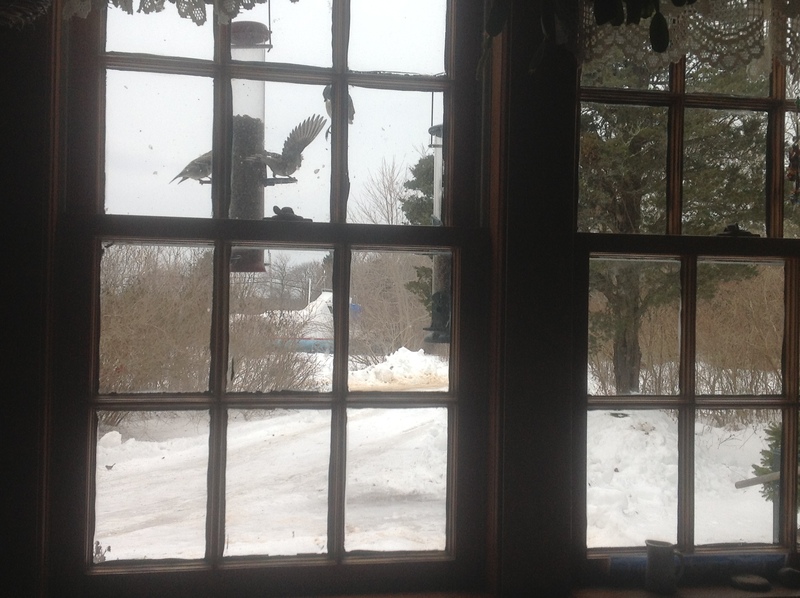 Wind howled at the windows. This past September, John and Barbara, guests from England, gave us a gift of storm windows that they made especially for us. The storm windows are mounted inside so we can install them without having to go outdoors. A timely gift and what a difference they make. 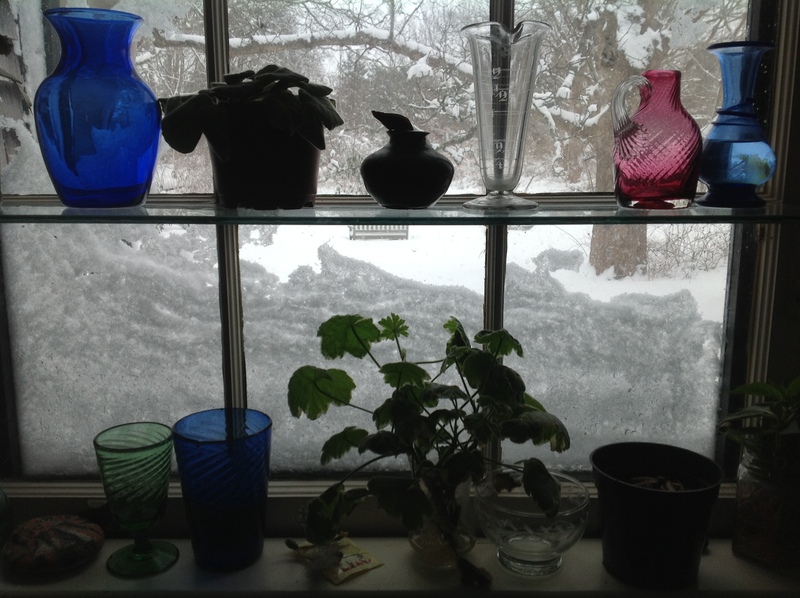 Snow piled in drifts on the outside window sills. Snow plows rumbled past, two at a time, moving en echelon, yellow lights flashing. We went to bed early. We’d deal with hot water and heat in the morning. All night long the snow plows rumbled by. The electricity remained on, despite hurricane-force gusts and blowing snow, which meant the NStar crews were out all night monitoring the vulnerable overhead wires. There’s something grand about a big storm that brings forth feelings of adventure. We awoke to more falling and blowing snow and monumental drifts everywhere we looked. 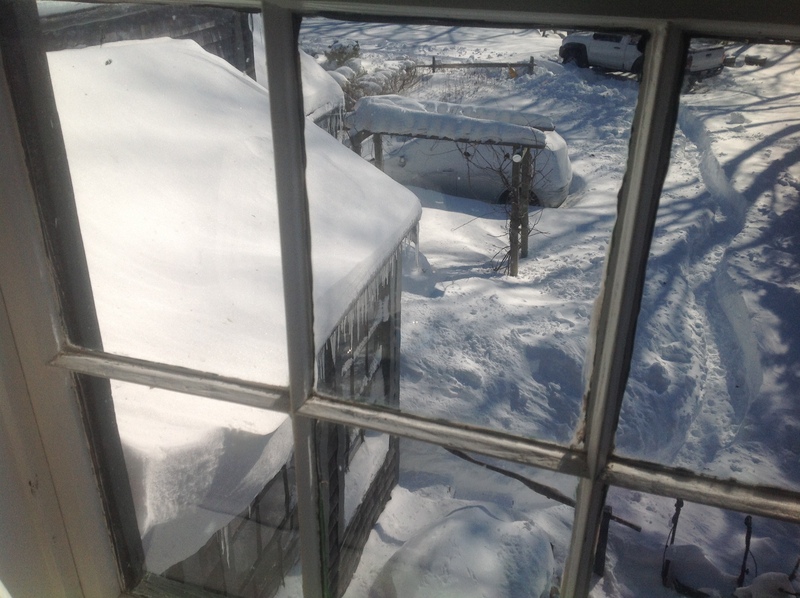 Snow has altered the familiar topography, softening the harshness of cars, roofs, and fences. 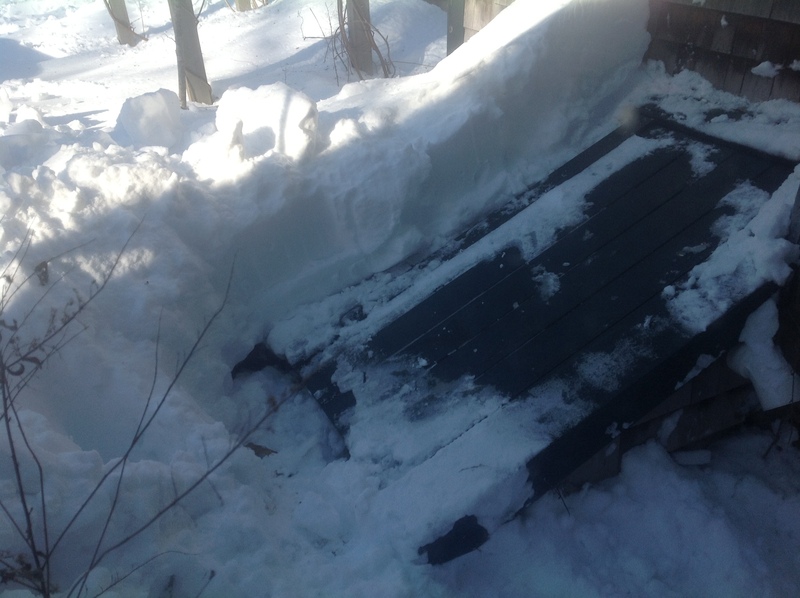 A three-foot drift now blankets the steps leading up to the deck where our swing seat has a foot-deep cushion of snow. 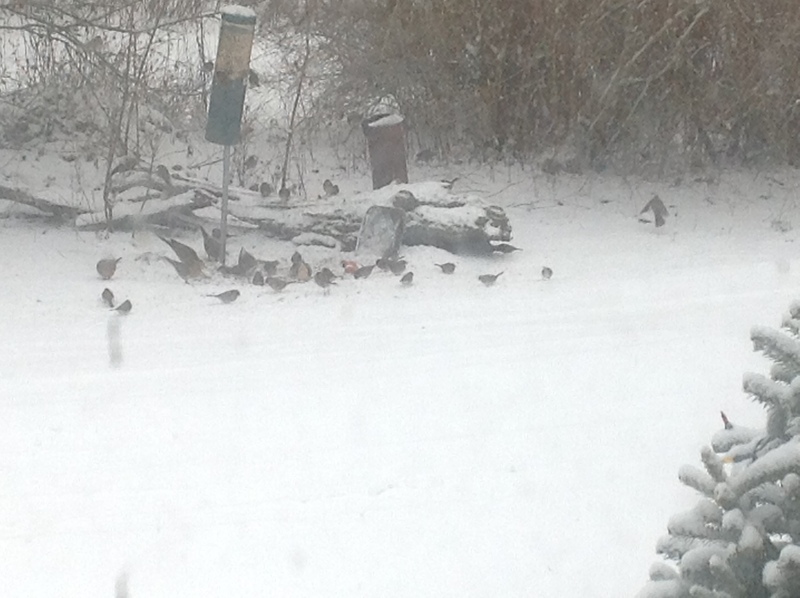 The snow-covered bird feeders are attracting swarms of cardinals, blue jays, chickadees, titmice, doves, house finches, and an occasional woodpecker, all of them desperate for seed. Islanders seldom use front doors. That’s why she asked. The temperature in the kitchen was forty-seven degrees. We turned on the oven. 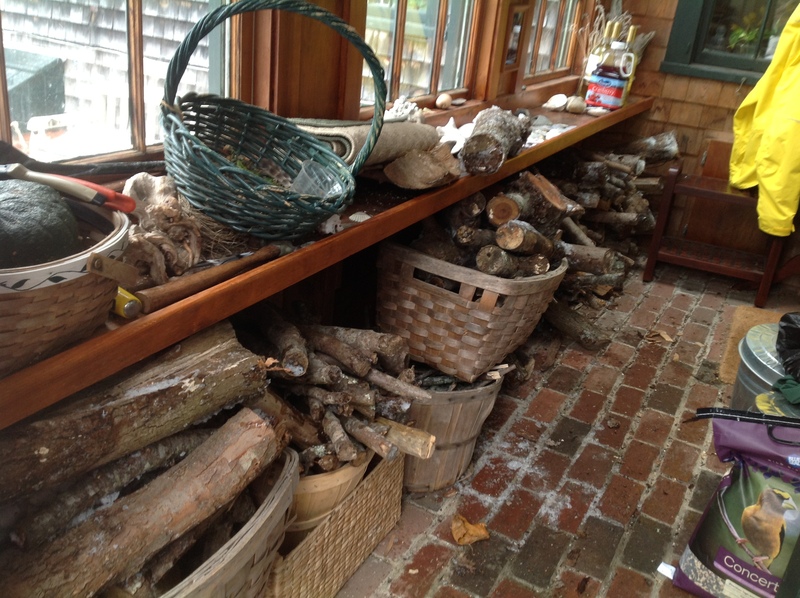 We brought in more wood from the entry, where Paul had stacked it , and got the fire going in Howie’s lab. We lighted the fire in our bedroom. We donned sweaters and fleece jackets, hats and gloves. Drank hot tea and spooned up hot pea soup. 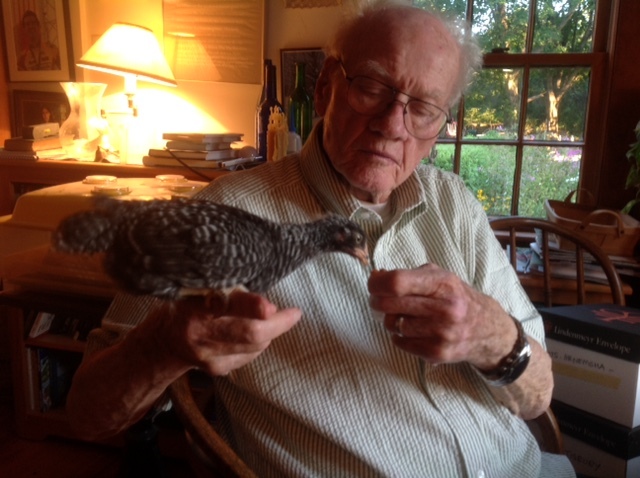 To my astonishment, within an hour, Keith Fullin appeared at the kitchen door. “How did you get here?” I asked. “I imagine you’re busy,” I said. “What was the trouble?” asked Howie. 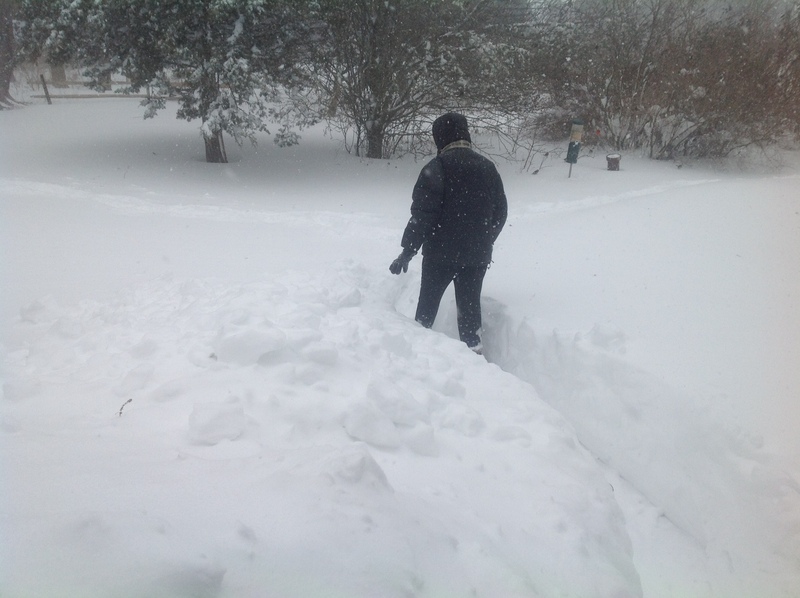 After he left I looked out the window and he had shoveled an area about four feet by six feet wide, drifted three feet high, to expose the bulkhead door leading to the furnace.